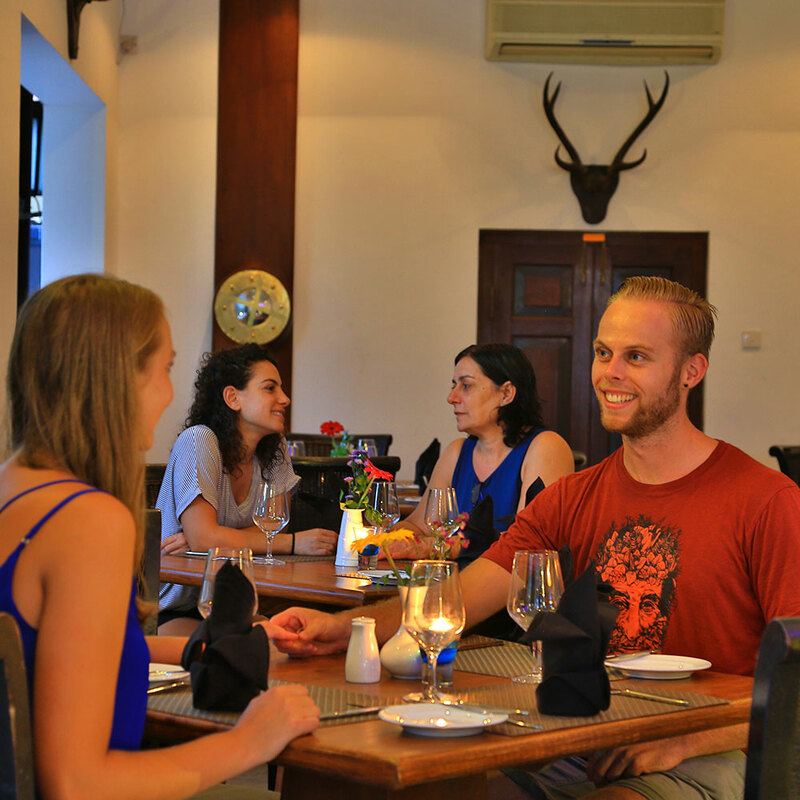 The cosy, comfortable and elegantly laid out dinning area is the perfect place for a perfect meal. Sit back and relax for an interesting chitchat while enjoying a chilled drink or a hot cup of Ceylon tea while seated on the comfortably cushioned settee or sit down for a formal meal at the perfectly laid out table. Most importantly be ready for a food fiesta with our menu that changes everyday.